November 29th, 2017‑ Saying that the present lack of rainfall in the Iberian Peninsula will bring us the worst drought in decades is no longer an exaggeration. Recent news go even further, pointing that this could become the worst drought in the History. 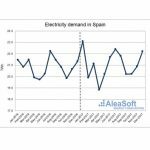 The dramatic decrease of the rainfall has an unquestionable effect on the price of the wholesale electricity market that directly impacts on the final price for the consumer. In the wholesale market, the hydroelectric energy, mainly from large reservoirs, displaces more expensive technologies, like coal- and gas-fired plants, and keeps the electricity price low. Comparing the hydroelectric production during the present drought with the production during dry spells in the recent past, we can see that in the last hydrological year (October 2016─September 2017: 22,655 GWh), not even the minimum levels of production of the last drought in 2012 were reached (October 2011─September 2012: 23,199 GWh). 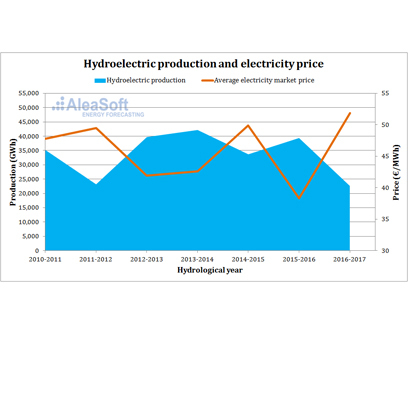 Comparing the average price of the electricity market in these two hydrological years, the price during the last hydrological year (51.84 €/MWh) was higher than the price during the last drought in 2012 (49.46 €/MWh). 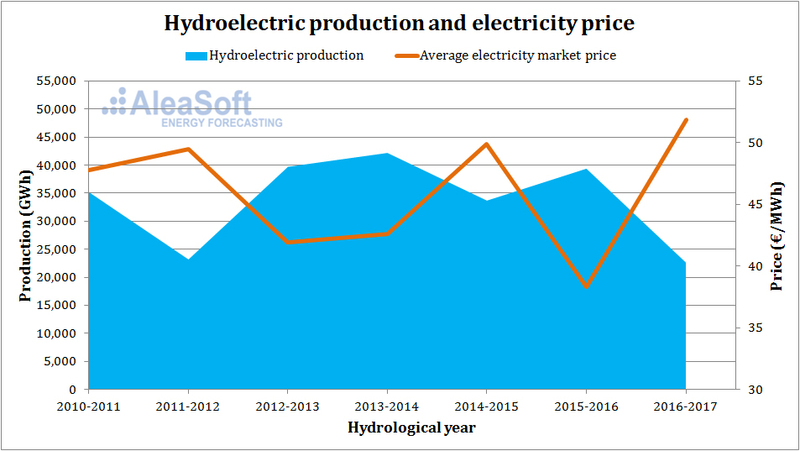 Comparison of the hydroelectric production and the average electricity market price for every hydrological year (October─September). 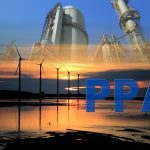 Although it is clear that there are many more factors that impact the electricity market price, the hydroelectric energy, due to its large inertia, is one key factor in the determination of the price at the mid term range. Probabilistic electricity market price forecasts at the mid term aim at evaluating all the possible scenarios of the evolution of the rainfall, also taking into account the likelihood of occurrence of each of these possible scenarios.